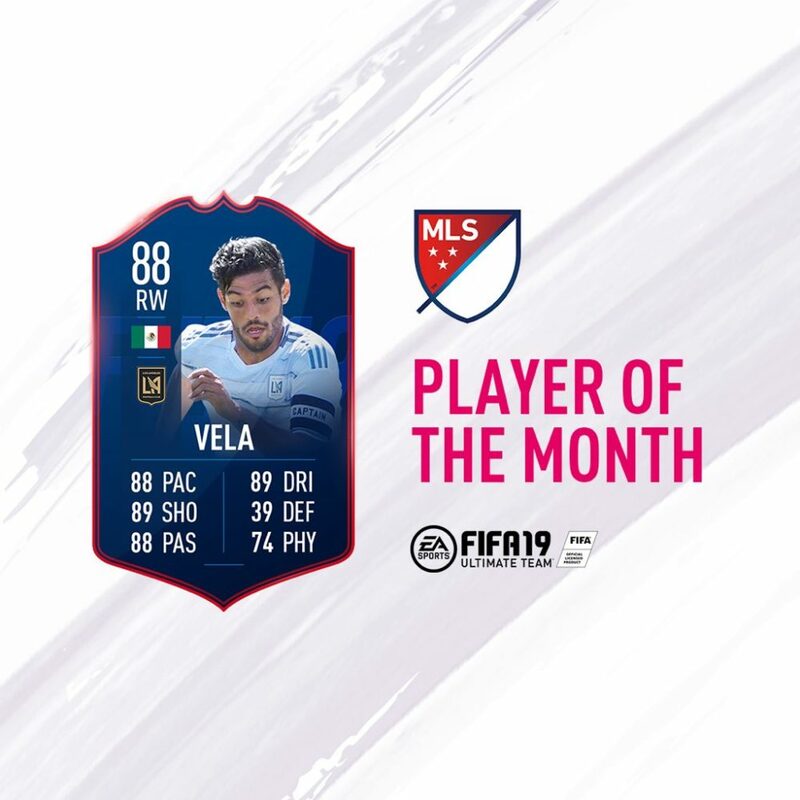 For the first time ever, EA Sports has released a MLS Player of the Month SBC, and LA FC’s Carlos Vela won the award in March. Here’s everything you need to know about how to complete MLS Player of the Month Vela SBC in FIFA 19. The card is 88 rated, so has good value, and his stats are alright. Also, the three segments you need aren’t as tough as it might sound. Two of the squads are 82 rated, and one is 83, and you only need one in-form. However, there are some complications. Here are the requirements. For the most part, the requirements for this Vela SBC are pretty simple. 81, 82, and 83 rated players are cheap, and you don’t need a lot of chemistry for any of them. There are some tricky things about each one, though. For the max from the same league requirements, the best thing to do is stick to major FIFA 19 league (use Mexican players from those leagues where you can) and then slip in anything else you need after, such as the TOTW player. 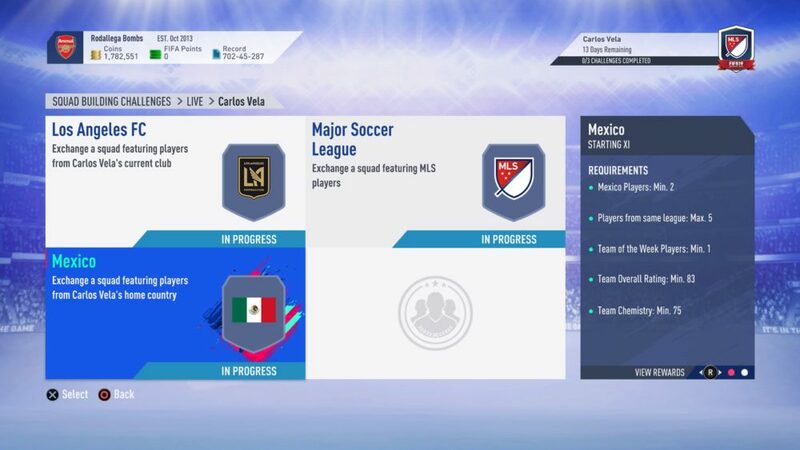 For the MLS section of the Vela SBC, using a major league will take care of the nationalities and clubs requirements, so you don’t have to worry about that. Do note that MLS players, LAFC players, and Mexican players will all shoot up in price. Using Vela himself in the first squad is out of the question really, as he’ll be 10k in FIFA 19 in no time. His teammate, Nguyen, will be a better option, but expect to pay upwards of 3/4k for him. You’ll also have to balance the squad rating elsewhere in the team. MLS players shouldn’t be too bad, since there are a lot to pick from, but the likes of Guardardo or Javier Hernandez will spike in price as the Mexican players you need. You don’t really have a choice in an 83-rated squad, though. For the TOTW player you need for the Vela SBC, use on from the current TOTW, since they’ll likely stay cheap by being actively packed. That’s everything you need to know about how to complete MLS Player of the Month Vela SBC in FIFA 19. For more tips and tricks on the game, be sure to search for Twinfinite.